Technology & Social Media Committee – new! Last month I focused on community and how GMA SHRM leverages the power of our HR community to serve the needs of individual members. Our ability to build this community, however, is interdependent with another word that is crucial to our chapter’s success: Partnership. We would not be the chapter we are today if it weren’t for our strong and effective partnerships. Our corporate partnership program is a great example of how we use partnerships to better serve our members. Our partners make financial investments in our chapter which we in turn, reinvest in such member services as our monthly programs, the e-newsletter and weekly e-blasts, our information-rich website, our networking events, and our efforts to give back to the local community through projects such as our annual Job Boot Camp. Beyond these core services, our partners enable us to keep our annual dues low and most of our monthly programs free to members. That’s the great benefit of these partnerships to our members. The next time you attend one of our monthly programs, a networking event, visit our website, read this newsletter, or participate in a GMA-sponsored event with the community, remember who made it possible . . . and personally thank these partners for their support. Pick up their information from the display table at our events and let them know you appreciate their financial support that enables us to do all of what we do. Become a corporate partner in 2015! In October and November of each year we reach out to all of our existing corporate partners and invite them to renew their investment in GMA SHRM for the coming year. This is when we also seek out new partners. Why should your company remain or become a corporate partner with GMA SHRM? What does your company get in return for your investment? Gold Partner – $2,500: Local membership for one person; web ad displayed on our homepage; featured Facebook posts – three posts to our Facebook page during chosen month; logo on website (linked to your website) & e-newsletter (linked to your website); 3 ads in e-newsletters; attendance for one at the Human Capital Conference; free attendance for one person at 9 programs*; recognition at programs; logo on Partnership banner; tabletop display opportunities – Human Capital Conference plus two additional opportunities; eight opportunities to access membership mailing labels; GMA SHRM logo on partner website; and sponsorship of one regular monthly program*. Plus, 25% discount on additional marketing opportunities. Silver Partner – $1,500: Local membership for one person; logo on website (linked to your website) & e-newsletter (linked to your website); two ads in e-newsletters; free attendance for one person at 4 programs*; recognition at programs; logo on Partnership banner; tabletop display opportunities – Human Capital Conference plus one additional; GMA SHRM logo for partner website; and 4 opportunities to access membership mailing labels. Plus, 20% discount on additional marketing opportunities. Bronze Partner – $750: Local membership for one person; listed on Program Schedule and on website & e-newsletter; one ad in e-newsletter; free attendance for one person at one program*; recognition at programs; logo on Partnership banner; tabletop display opportunities – Human Capital Conference; GMA SHRM logo for partner website; and one opportunity to access membership mailing labels. Plus, 15% discount on additional marketing opportunities. * Annual Human Capital Conference not included. Click here for our 2015 Corporate Partnership application: GMA SHRM Corporate Partnership Program. Partnership means people working together, collaboratively, to help each partner realize his or her own goals as well as their mutual goals. We think our annual corporate partnership program does this in spades! And if you join or rejoin as a partner with GMA for the coming year, we think you’ll agree. I am confident that our 2015 partnership program will be the strongest ever. And the strength from our partnership in turn, will ensure that our chapter remains strong long into the future. Although employees typically pay the premiums when they select voluntary benefits during open enrollment, these offerings are growing in popularity because they allow workers to customize their benefits package. While the employee is the buyer, employers are responsible for negotiating with voluntary benefit vendors and so need to know what products are most appropriate for their workers. For instance, today’s workforce spans three generations that look at work, life and finances in different ways. Likewise, they have different benefit needs. Baby Boomers are generally the ones in the top positions of companies, and many are contemplating retiring. According to the AARP, they make up 38 percent of the workforce. The middle generation is Generation X, which has a distinctly individualistic outlook. The U.S. Bureau of Labor Statistics reports that members of Generation X make up one-third of the workforce. The youngest employees in the workforce are the Millennials, also referred to as Generation Y. They have high expectations when it comes to promotions and recognition. Based on focus group interviews, benefits provider Purchasing Power has produced generational profiles for the Baby Boomers, Generation X and the Millennials that highlight the voluntary benefits that best address these groups’ varying financial situations. The work ethic of the Baby Boomer generation is driven and committed, and they believe that rewards come after paying one’s dues and building a career. Their greatest fear is losing their pension, savings or job and being unable to retire. Some Baby Boomers still have grown children living at home or are helping them out financially until they can support themselves. Others are caring for elderly parents, and some are aiding their children and parents at the same time. For the most part, if there’s something Baby Boomers want, they are able to buy it. However, many will question if they should save that money instead. That’s because Baby Boomers, even if they are high earners, worry about retirement—both having enough money for retirement and wondering when is the right time to retire. Members of Generation X have a “work hard, play hard” attitude. They believe in accumulating skills by taking on different projects. Their greatest fear is being overshadowed by Millennials and being overlooked for career advancement. Keys to job retention for Generation X are salary, autonomy, independence and—significantly—opportunities for promotion. • Employee assistance programs (EAPs). • Flexible spending accounts (FSAs). Millennials tend to value professional fulfillment over salary. They expect rapid promotion and meaningful work or they’ll seek other opportunities. They often juggle many jobs and move among employers frequently. Their fears include being trapped in routine jobs or eternal internships. Keys to job retention for Millennials are personal relationships, multiple tasks and fast rewards. By recognizing the value in voluntary benefits, employers can provide for their employees’ diverse needs and improve the likelihood of retaining a loyal, motivated workforce as well. PHR or SPHR Study Group! Interested in obtaining your PHR or SPHR? Sign-up for a study group! Each year, GMA SHRM offers a study group for those preparing for the PHR or SPHR certifications. The meetings are focused on open discussion/dialogues for participants on topics in any of the modules as well as test taking skills. If you are interested in participating in a study group, please contact the chapter office at chapteradmin@gmashrm.org. The study group participants will work out a mutually beneficial meeting location and time. Sending managers to training workshops may help you check leadership training off your to do list, however, results are disappointing and diluted. What got us here won’t take us where we need to go. Leverage the most significant human capital in your organization – executive and emerging leadership. 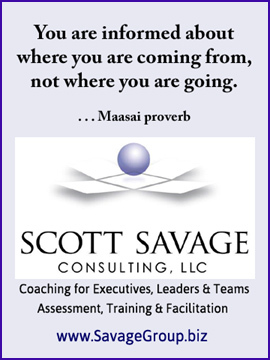 Start where you are, then integrate current HR systems with organizational partners to facilitate leadership and organizational. Leave this summit with information and plans to manage the changes required to improve your strategic leadership development in the coming year and beyond. 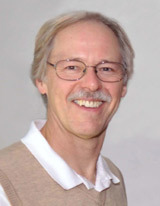 Our speaker, Dan Loichinger, has over 25 years of success in defining leadership models, coaching executives, developing strategic leadership and designing & implementing OD projects across various industry markets. He is the founder, president and principal coach for Loichinger Advantage LLC, as well as the newest TEC Chairman in the Madison area. His unique views have been shaped by leading corporate training & development teams, as well as consulting with clients on competency models, 360-degree assessments, leadership development, change management, OD, high-potential leadership, organization mentoring, strategic planning, team development and organizational restructuring for growth. Student Scholarship Applications Being Accepted! Applications for the student scholarship are now being accepted! We offer 2, $750 non-renewable scholarships to a college student at one of the following schools: UW-Madison, UW-Platteville, UW-Whitewater, Globe University, Edgewood College, Herzing University, Upper Iowa University or Madison College. 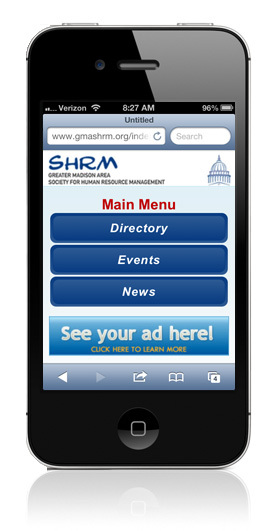 The application process and details can be found on the GMA SHRM Site under Membership / Student Scholarship. Please reach out to Melissa Chadwick at melissa.chadwick@bakertilly.com with any questions. Wisconsin TechConnect for job posting, http://www.wisconsintechconnect.com/; Two-thirds of the members were already using this great resource! Additional information that may be of use to members from their office is the Graduate Report (www.madisoncollege.edu/graduate-report). The group had an amazing tour and was able to see the hands-on/public areas for the cosmetology, bakery, culinary, dentistry, and massage programs. (NOTE: They want to go back to eat in their culinary arts area!) The college has many $120,000 simulation dummies that they use for the medical programs, including one that can deliver a baby! For additional information on MATC or the Career and Employment Center, please contact Rochelle Wanner, Senior Advisor, RWanner@madisoncollege.edu, 608-243-4273. If your organization is looking for strategies to promote its products or services to the Madison Area Human Resources community, this is a unique opportunity to reach out to over 800 HR professionals representing more than 500 employers. Reach HR professionals through GMA SHRM while also enjoying the benefits included in your partnership with one of the largest, most successful chapters in the United States. We are currently offering Gold, Silver and Bronze Corporate Partnerships levels for 2015. 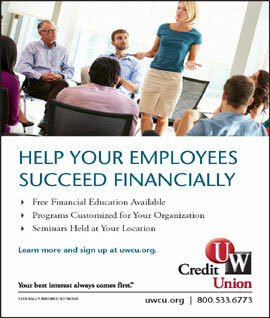 Click here to see the benefits of becoming a Corporate Partner. Sign up now through November 10th, 2014 to secure your place as a partner. 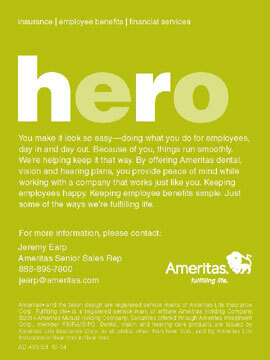 Volunteer GMA SHRM members will be following up through October regarding this limited-time annual partnership offer. If you’re interested, please contact Shaun Thomson (sthomson@dcpcinc.org), or Meg McGrane (mmcgrane@parkbank.com) to secure your spot for 2015! We appreciate your consideration of these opportunities and look forward to another successful year with our corporate partners, sponsors, and advertisers! The Corporate Partnership Program renews every calendar year with active solicitation beginning in the fall. Please contact the chapter office at chapteradmin@gmashrm.org to express your interest in a corporate partnership. One of our volunteers will contact you to answer any questions and assist you in signing up for your selected level of partnership. I work with insurance agents and Human Resource professionals to create plans that fit a company’s needs and budget. We are a local Dane County company but have a state and nationwide network. Getting our local dental insurance company on the Federal exchange for 2015! Heidi Hoffland, our Human Resource Director, suggested looking into SMA SHRM. She spoke highly of the people in the organization and the professional development opportunities available to members. I get an opportunity to work with a wonderful group of HR professionals and vendors from a variety of organizations in and around the Madison area on projects that make an impact on the success of our chapter. DO IT! Start by just attending a committee meeting and see what kinds of things they work on. Get acclimated and then volunteer for things that interest you, will give you new experiences, and will connect you with other HR professionals outside of your organization. It has been a great way to connect with HR professionals and those who serve the HR community in a way that goes much beyond just an exchange of business cards. When I hit a road block at work, I know I can reach out to any of the other connections I have made through volunteering for suggestions, insight, and examples of how their organization has handled a situation. ﻿GMA SHRM welcomes the following members who joined our chapter in September 2014!